We’ll give you a smile you’ll be proud to show off. With our in-house lab, We customize the fit in a single visit. We also offer a variety of plans and prices, with free adjustments, for life. to straighten your teeth without people even noticing the process. From adults to kids, we offer services to facilitate all your dental needs. We'll give you a smile you'll be proud to show off. Kaelin, a graduate of the University of Minnesota, has been practicing dentistry since 2003. He is a proud member of the ADA, AAID, MDA and the GSDS. Outside of dentistry, Kaelin spends his time with his three sons, Donovan, Drew and Daniel. 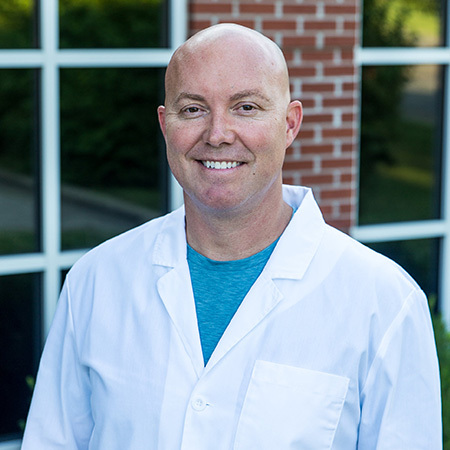 With his experience and dedication, it is no surprise that 417 Magazine has voted Dr. Kaelin “Top Dentist” in Springfield, MO for several years. Using clear teeth alignment trays, Invisalign allows you to straighten your teeth without people even noticing the process. Get the confidence of a resilient smile. Implants provide a strong foundation for fixed (permanent) or removable replacement teeth that are made to match your natural teeth. Implants offer prompt and painless results that will have you in and out of our office in no time.